7,900 km² or 19% of the surface of Switzerland is karst. Within this area lies the majority of the 7,500 currently known Swiss caves, with an accumulated passage length of more than 1,200 km. The following text (in four languages!) presents the first overview of this fascinating underworld. An introduction to the karst of Switzerland, in its natural context, is followed by a discussion of the significance of karst, cave exploration and the impact of caves on society. The many diverse aspects and characteristics of Swiss caves are presented and richly illustrated. A glossary and chronological history of Swiss cave exploration then rounds out the work. An introduction to the karst of Switzerland, in its natural context, is followed by a discussion of the significance of karst, cave exploration and the impact of caves on society. 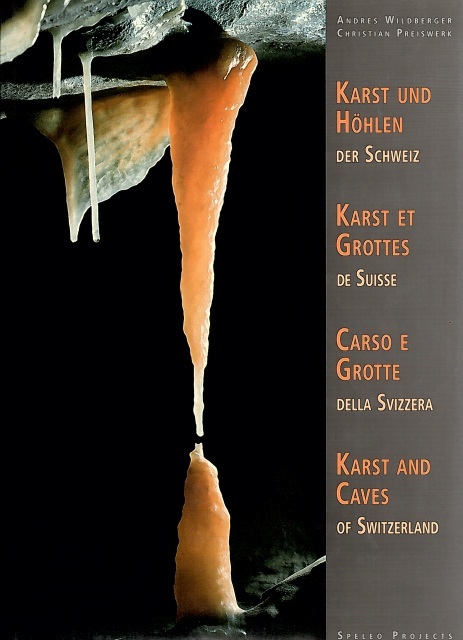 The many diverse aspects and characteristics of Swiss caves are presented and richly illustrated. A glossary and chronological history of Swiss cave exploration then rounds out the work.